The AIR Control Display is a newly developed multifunction display and control unit from AIR Avionics. 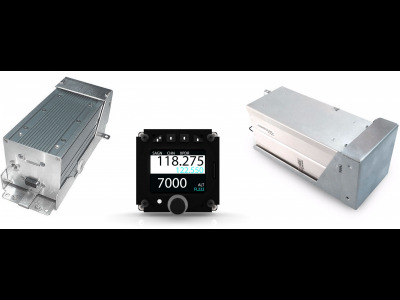 The AIR Control Display is designed to work with and control a number of different types of radio as well as AIR Avionics Mode-S transponders - it can control both at the same time, saving you valuable panel space. 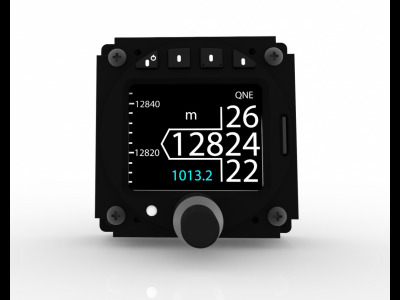 It also has an ETSO-approved altimeter built in, it's functionality must be released with the purchase of an altimeter license, adding more functionality to this compact display. It has robust hardware, a sunlight-readable display and is easy to use. The new AIR Control Display is a real communication talent. 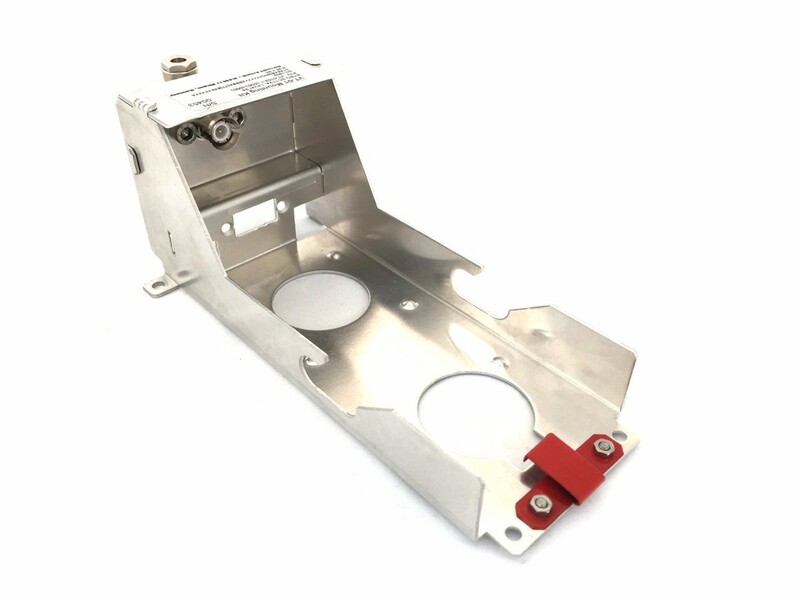 Not only does it work with AIR Avionics' new AIR COM radio module (yet to be released - certification pending), but also with third-party radios (via a license purchase) such as Becker Avionics (AR6201...) or TQ Avionics (KRT2...). Radios are installed obscured in the aircraft, often behind the panel and connected with a cable. 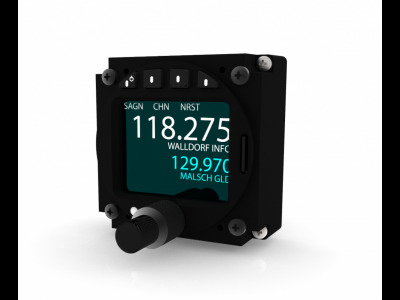 The AIR COM radio module can also be connected directly to the AIR Control Display. If the connected radio has its own controls, these are either shut down or used, for example, in tandem seats parallel to the AIR Control Display. Several AIR Control Displays can be installed in an aircraft, eg to control a transponder or a radio. This is a sensible solution, especially in tandem seats. Via the integrated CANaerospace interface, all displays are always perfectly synchronized. 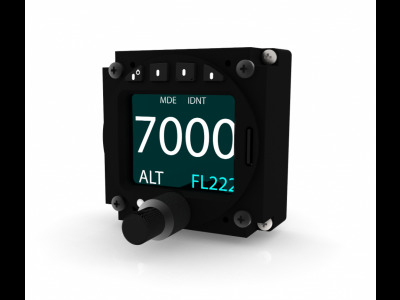 The AIR Control Display is a fully ETSO approved altimeter. It can be used "standalone" as an easy to read, pure altimeter. 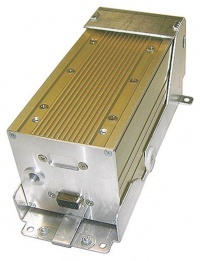 Due to its technology without moving parts, it is particularly reliable and robust against vibrations, which is advantageous for example in helicopters or self-propelled gliders. 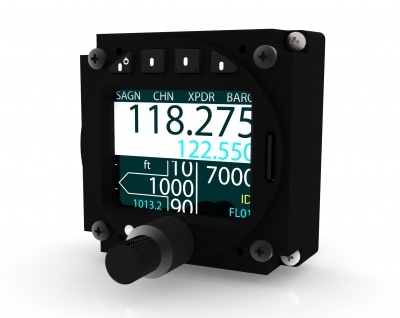 To use the altimeter, a software license is required, which can also be purchased later in the AIR STORE. 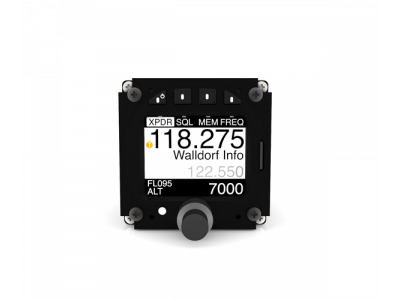 With little space in the cockpit, the altimeter function can also be combined with radio, XPDR or both. Also later, the radio or transponder can be retrofitted without modification in the panel. The AIR Control Display has the largest screen surface in its class, ie in a small 57mm device. Its stunningly high-contrast display has a large viewing angle and consumes only a small amount of power. The device has been designed and tested in accordance with strict approval guidelines, including vibration, extreme temperatures and software reliability.